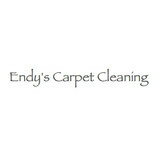 For more than eight years, Endy's Carpet Cleaning has been dedicated to provide Lehigh Acres and the surrounding cities with the most detailed floor and upholstery cleaning ever experience in our profession. We take great pride in delivering superior services that foster healthy, clean home, long-lasting floor/upholstery and preserve the environment. As a result, our commitment to these values has made us an industry leader in providing the best possible service. We guarantee our work without question, we have the willingness to go above and beyond to ensure our client satisfaction. Why Choose Us? - Superior customer service - Exceptional cleaning process - Fast dry carpet (1 to 3 hrs) - Certified technicians - We use the powerful truck mount steam cleaning extractor - We use eco-friendly products that are kid and pet friendly. No harsh chemicals! - Our unique formula gets rid of tough stains and restores your carpet! - Extended the life and appeal of carpet. - Get carpet cleaner and keep them clean for longer periods of time. At Naples Rug Washing Company, we understand the value of the carefully selected rugs in your home. Whether your rugs are of heirloom quality or not, you spent a lot of time selecting just the right looks for your home – room by room. Properly washing and repairing your rugs routinely will keep them looking as good as the day you brought them home for many years to come. We wash and repair a large variety of rugs, from throw rugs to museum quality, from all over the world: Iranian/Persian, Turkish, Afghani, Chinese, Pakistani, Indian, Tibetan, Nepalese, Moroccan, Navajo, Needlepoint, Flatweave, and many more! Our careful wash process is completely hands-on and is safe for wool, silk, cotton, and all other specialty fibers. The most appropriate cleaning process will be determined after a careful and thorough pre-inspection of your rugs. We never wash your rugs with other rugs. We wash them individually so that we completely eliminate the possibility of cross-contamination of pet urine or fugitive dyes from other rugs on to yours. 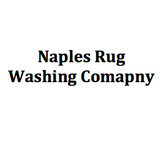 Naples Rug Washing Company is committed to taking the individual time and care that each rug deserves. Expert Restoration & Cleaning Services Inc. is your one-stop shop for professional cleaning and damage restoration services in Naples, FL. Whether you have a residential or commercial property that needs restoring, we can step in and find you a solution for your problems. Our services include mildew removal and mold remediation, water damage restoration, floor cleaning, odor removal, and home renovation in the aftermath of irreversible damage. 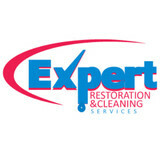 Here at Expert Restoration & Cleaning Services Inc., we’re proud of our reputation for excellent customer service. We know how frustrating mold and water damage problems can be, and we’re committed to listening to you so we have a thorough understanding of the issue. We’ll answer any questions you have about the process, and we’ll do everything we can to ensure that your problems are addressed quickly and thoroughly. By paying meticulous attention to detail and by upholding quality workmanship above all, we are able to deliver results that give you back your peace of mind. We personalize our services to meet your specific needs, helping protect you and your family from the risk that comes with a structure that has been damaged by mold or water. The sooner you take care of a problem like this, the more money you’ll save, and the more secure your building will remain. We know that emergencies like this don’t follow a schedule, which is why we offer 24/7 emergency services, and we are ready to assist you as soon as you need help. For a certified mold remediation company that can also help with water damage restoration and general cleaning, contact Expert Restoration & Cleaning Services, Inc. today. We offer flexible appointments from Monday through Sunday and respond quickly to all inquiries. Rid your carpets of any evidence of pets, wine, or water damage with a thorough carpet or floor cleaning service from DG Cleaning & Carpet Care LLC in New York, Florida and Connecticut. Specializing in water damage restoration, we have been making homeowners' carpets, tile floors, and furniture look brand new since 2002. Be sure stains come out the first time with our state-of-the-art equipment from Windsor®. Additionally, we treat your carpets and furniture as if we were cleaning our own, taking the necessary time and putting in the maximum effort to restore it to like-new condition. With more than 10 years in the carpet care business; we offer you 100% satisfaction—guaranteed. Our family has many that suffer with allergies, we all learned over the years from doctors how important the indoor environment of our home was and later where we worked. In 1992 Gulf Coast Dry Carpet Cleaning was formed to start providing a healthy way to clean carpets and to improve on indoor air quality. We then started to add-on services using natural enzymes for upholstery cleaning and safe solutions for tile and grout cleaning. Another important service was added in 2002, mattress sanitizing and more recently we have added natural wood floor rejuvenation, marble and other natural stone rejuvenation, natural stone countertop rejuvenation, and grout recoloring. We were now a full service cleaning company that was able to create a clean and healthy indoor environment from all aspects. We offer and have offered many of these services for over 15 years. We continue to research healthier ways to improve our services, to create the cleanest, healthiest indoor environment, improve indoor air quality, and to leave a client with the best experience possible. We are dedicated to education and training of our staff and we are always raising the bar on the standards for this industry. Whether you are a person with allergies or someone just trying to protect your investment, we are here to provide the beneficial needs for your home. From Naples to Marco Island, Servicemaster Clean offers the best in residential carpet cleaning, commercial janitorial services, customized office cleaning, floor cleaning and upholstery cleaning services. ServiceMaster Clean is very familiar with all of your carpet, tile, upholstery, and office cleaning needs. Using state-of-the-art equipment and environmentally friendly cleaning products, our highly trained, professional staff takes great pride in their work. In addition, to ensure our customers are completely satisfied with our work, we also focus on our core principles called the “5 C’s of Customer Care”. Cost-effective service. You will realize a great return on your home or office cleaning investment. You will get excellent service at a competitive price. Character. You will have peace of mind knowing upon your return your home or your office space in the same condition in which you left it. Only cleaner of course. Conscientious. We know the toll some cleaning products can take on the environment, your surroundings and ultimately on your health. That’s why we use the organic cleaning products. Consistent. After creating a custom cleaning plan for your home or business, we will maintain that high level of service. We don’t cut corners – we clean them! Our quality control system insures you will always get the level of customer service you are paying for. Client satisfaction. We don’t take our clients for granted! We encourage two-way communication by conducting regular surveys to ensure we are meeting the needs of our clients. Our goal is to deliver the highest possible level of service to our clients. At Southwest Chem-Dry we use the latest technology available for all of your carpet & upholstery cleaning needs. Our technicians are fully trained, uniformed and always maintain the most professional appearance. We are licensed, bonded and fully insured. Chris & Kelly Hildenbrand are the owners of Gulf Coast Carpet and Upholstery Cleaning. Their company has served Fort Myers and surrounding counties for over 10 years. We are family owned and operated. When you call us, you get the owner or a family member, not an employee hired a week ago, who's heart isn't in the job. We want you to be a repeat customer. We will assist you with any question or information on services regarding your flooring needs. 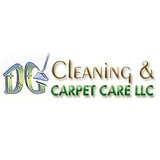 We specialize in Carpet and Upholstery cleaning, for both Residential and Commercial customers. We also specialize Tile and Grout cleaning. Our rates are very reasonable. Our cleaning process utilizes a truck mounted steam cleaning system. Carpet, tile, upholstery and rug cleaning. We seal tile and grout, showers, counter tops and back splashes at new construction or just cleaned areas. We use "The Power" of Truck Mounted Steam Carpet Cleaning process. Your Carpets and your Tile and Grout lines will be clean and dry in hours not days ! All of our work is Satisfaction Guaranteed. We have over 30 yrs of Carpet Cleaning Experience and are well reviewed. Search our phone number and look for our reviews, or just give us a call, you won't be disappointed! What should I look for in a local Lely Resort carpet cleaner? Not all Lely Resort carpet cleaning companies use the same methods, but there are a few common things that they should do to for a quality job. Make sure they do an analysis on the area you need cleaned and recommend the best course of action — are there large stains or high-traffic areas that need extra treatment or attention? Also, make sure they provide quick drying times so that you can be back in your home faster; that means hours, not days! 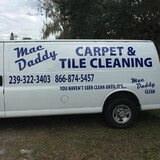 A good carpet cleaning service in Lely Resort, FL should move furniture (within reason) and put it back in place when they are all done; don't let them charge extra to do this. Another important factor to look out for is whether or not the carpet cleaners use chemicals, and if so, they should be asthma- and allergy-friendly. This is especially important for households that have children or pets. Lots of Lely Resort carpet cleaning services also clean rugs. Rug cleaning can involve anything from a simple wash to complete re-weaving or foundation work. Make sure the local rug cleaner you choose has experience with the types of rugs you need serviced, especially if they are hand-woven or Oriental rugs. What should I look for in a local Lely Resort upholstery cleaner? Upholstery comes in many more varieties than carpet and rugs, thus needs cleaning tailored to each specific blend. Even if you don’t know what material your sofa or chair is made with, a good upholstery cleaning service in Lely Resort, FL will be able to identify it and treat it appropriately. Some textiles require dry cleaning and that can’t be done in home, so if that’s the case, check with the upholstery cleaner and see if they offer pickup and drop off services. Leather cleaning is a bit different and often involves more restoration and conditioning than actual cleaning. Make sure the Lely Resort furniture cleaning service specializes in leather if you are considering them for the job. Find Lely Resort upholstery and carpet cleaning services on Houzz. Narrow your search in the Professionals section of the website to local carpet cleaners in Lely Resort, FL and read reviews and ratings to find one that fits your needs.